Celebrating Indie Author Day this Saturday October 13! This Saturday, October 13th is National Indie Author Day! Celebrate independent authors and their work at your participating local library! Authors of all of genres are expected so, check your local library for the details and times. In our area, the Fairfax County Public Libraries are celebrating this day at two library locations; Pohick Library in Burke and the Patrick Henry Library in Vienna. The Pohick Library in Burke, VA has graciously invited Angela and me to represent our books at the at their indie author event. If you are in the area and want to meet us or purchase a signed book, please stop by to see us Saturday from 1:00 pm-3:00 pm. Karl Robb has had Parkinson’s disease (PD) for over thirty years. With symptoms since he was seventeen years old, Karl was diagnosed at the age of twenty-three. Now fifty-one, he is a Parkinson’s disease advocate, an entrepreneur, an inventor, an author of two books (A Soft Voice in a Noisy World: A Guide to Dealing and Healing with Parkinson’s Disease and Dealing and Healing with Parkinson’s Disease and Other Health Conditions: A Workbook for Body, Mind, and Spirit) with his wife and care partner, Angela Robb. He has blogged for ten years on his website, ASoftVoice.com. He is a Community Team Member to ParkinsonsDisease.net and is a contributor to PatientsLikeMe.com. 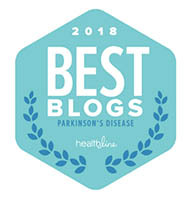 His blog, ASoftVoice.com, has been recognized four years in a row by Healthline.com as one of The Best Parkinson’s Blogs of 2018, 2017, 2016, and 2015! 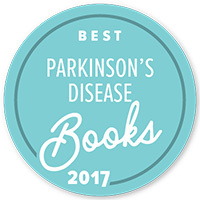 Healthline.com also listed the book A Soft Voice in a Noisy World in their list of Best Parkinson’s Disease Books of 2017! 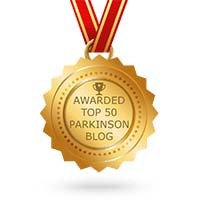 FeedSpot.com has recognized ASoftVoice.com for 2018 and 2017 as a Top 50 Parkinson’s Disease blog. Karl was a blogger for the 2016 World Parkinson Congress in Portland, Oregon. He is a frequent speaker on Parkinson’s disease issues as well as an experienced advocate for Parkinson’s issues throughout the United States. He is also an advisor and consultant on Parkinson’s disease. Karl is a board member of both the Parkinson Voice Project and Parkinson Social Network based in Virginia. He was an active board member (6 years) and an advocate (18 years) with the Parkinson’s Action Network (PAN). In his free time, he is a photographer, constant writer, longtime magician, and a practicing Reiki Jin Kei Do master. Karl received a Bachelor of Arts degree in English from the University of North Carolina at Chapel Hill. He has been featured by The New York Post, BBC Radio, CBS News, National Public Broadcasting (NPR), in The New Republic magazine and NHK World Television, as well as several Washington, D.C., television stations. You may reach Karl via email at asoftvoice@gmail.com, on Facebook, or contact him via Twitter @asoftvoicepd. I’m available for speaking engagements to share my experience living with Parkinson’s disease. Please contact me at asoftvoice@gmail.com if you are interested in having me speak to your group, conference/symposium, or would like me to write an article for your newsletter or blog. I am not a medical professional and this information is my personal view. I am just sharing my medical journey with you, the reader. I encourage you to seek all avenues that can benefit your condition. Posted on October 9, 2018, in A Soft Voice book, Dealing and Healing Workbook, Education, Education & Support, Inspiring Stories, living well, Media & Trends, mind body spirit, Parkinson's Disease, Philosophy, Reiki, self care, Wellness and tagged Angela Robb, book signing, books for sale, fairfax county libraries, independent authors, indie author day, indie author day 2018, Karl Robb, national indie author day, Parkinson's Disease, pd author, pd authors, pd independent author, pohick library, signed books. Bookmark the permalink. Leave a comment. It’s The Little Things That Aren’t So Little!